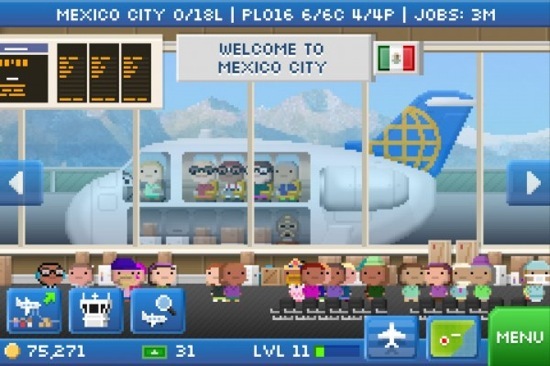 Pocket Planes is Nimblebit's (the developer of iOS hit Tiny Tower) next game. Pocket Planes will be released on the app store at midnight on June 14th in your timezone. The game is free-to-play with IAP, bux, which can get you new airplanes, airports, etc.. 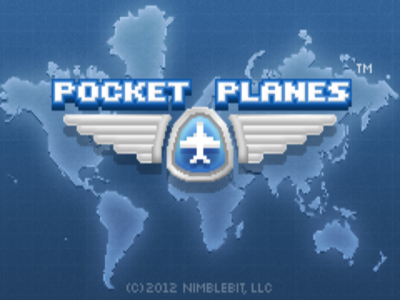 Tiny Tower was well balanced and IAP was not necessary so expect Pocket Planes to be the same. In Pocket Planes you take control of your own fledgling airline in a region of your choosing. From there you get to expand your airline however you would like. Your airline can specialize in short-hauls with cargo, become a long-distance airline for passengers or any combination you would like. As you earn more bux you will get to unlock larger more efficient planes, airports and parts. Flights occur in real-time so you will schedule your flights and receive notifications as they reach their destinations. 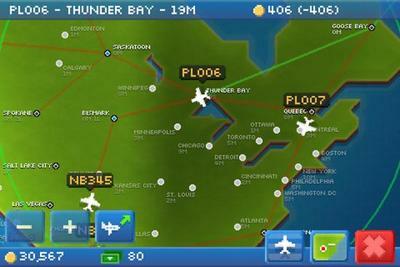 Pocket Planes will also incorporate a new feature called "Flight Crews". Your crew, in our case #GafAir, will compete in timed-events in order to win prizes like unique aircraft (as seen in the image below). So far the only example given of a possible event is for most flights completed by a flight crew during a period. All you have to do is input #GafAir as your crew tag and you will automatically be counted towards the crew for the events. Just as I maxed all my floors in Tiny Tower, they make this. Give this to me now. NOW!! 156 floors in Tiny Tower. I hope this is more of an actual game, and less of a "thing that I do", that Tiny Tower quickly became. Does it have all registered airports in the world? I wanna play the local small airport here in Japan! Never played Pocket Frogs or Tiny Tower but will give this a try. Are there ads since it's free? I'm in! I didn't know it was coming out this week, that rocks. Can't wait to play. I was a big fan of Tiny Tower. Count me in on the flight crew, I find their games perfect for iPhone "when you have a minute" gaming. Higher For Hire will fly again! Good job, Pastry. Thanks for making the thread. It has most major traffic hubs in the world so I doubt your small local airport will be there unfortunately. I hope it's as addictive and balanced as Tiny Tower. I'm in as soon as it comes out! As long as there aren't any elevators, I'll give it a shot. I'll give it a shot. TinyTower was fun for a few days. Can't imagine playing it for very long though. I assume it'll be like Tiny Tower, AKA Farmville disguised to appeal to gamers, and I won't take part in this time waster. Different times to fly to places already makes this better then the more grindy tiny tower, it became so boring restocking stores in that game. Nimblebit does great work. F2P the way it should be done. I'm in. For someone so averse to wasting time, you sure spent a lot of it coming into a thread about a game you don't care about only to type a post about how you don't care about it. To be fair, that probably didn't take very long. We're always gonna get haters in our Nimblebit threads. You're better off ignoring them. I didn't know what Pocket Planes was until I clicked the thread, so you can chill with the attacks. Can't wait. Hopefully it's as good as Tiny Tower. Just when I finally went cold turkey on Tiny Tower... they drag me back in. I figure I'll just get the mocking out of my system now 'cause tomorrow I'll be too busy playing Pocket Planes! Hope it's a little more gamey than Tiny Tower. If not, they'll still make money and rule charts, no harm done. 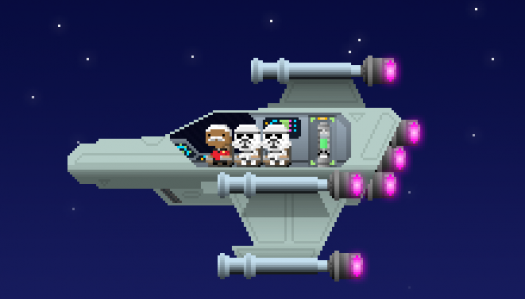 I cannot let myself fall down the Nimblebit hole again. Tiny Tower nearly destroyed me. I cannot let myself do this. It's more our enthusiasm about seeing another Nimblebit game than it is the opportunity to play a freemium timewaster. They have a proven record of being hard-working developers with a keen interest in their fans, so new stuff from them is exciting. Or at least, it is to me. People aren't too sweet on Match-3 games, and yet Bejeweled has that certain something. 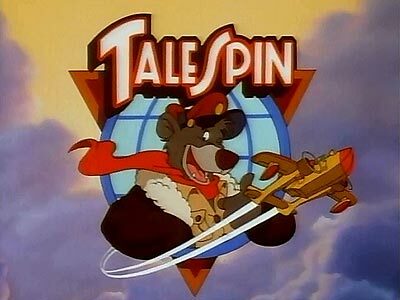 People who aren't otherwise sweet on Pinball and certainly not Pachinko love Peggle. The Dev Story sims are quite shallow as well. Popcap correctly realizes that the marriage of a gorgeous presentation, synchronicity between audio and visual, an approachable, interesting, and novel theme, and a positive, reward-oriented mindset can help elevate games that might otherwise be merely acceptable to a higher level. They also correctly understand that you can become a millionaire while remaining humble, appreciating your fans, and not trying to exploit them psychologically. "GAF" still hates Facebook games, because they writ large don't get the two things I just discussed. Nimblebit does. We've reached cruising altitude and it is now safe to deploy the most appropriate GIF I have. I would love to be able to transfer my 3000 bux from Tiny Tower to this. i told my wife "the next game from the guys who made tiny tower comes out tomorrow night"....she asked who do we have to kill to get it sooner. shes been a tiny tower player from day 1 and gives it at lease an hour or 2 of her time daily. A free, universal iOS game? I'm morally obligated to download it. ServBotPhil if you want to add me on Game Center. Off work tomorrow, so I will be able to learn how the game works. Since it's a new thread, should we worry about using spoilers, or does the fact that it's a free app make a difference? I'm playing Tiny Tower for the first time today... I'm not sure I really get it. Why does everything take so long without the green bills? No way... Is it out?! So that you pay money to get more green bills. Games like that (there are hundreds if not thousands) are meant to be played in very short doses over the day. Just to kill a few minutes every few hours or so. Maybe console games should have buddy apps that are simple mini-games like tetris or this that translate into gold or common items in your console game. Sign me up, I'm ready... GAF flight crew here we go!!! I was sucked into Tiny Tower for so long that when I deleted it, it was such a good feeling.